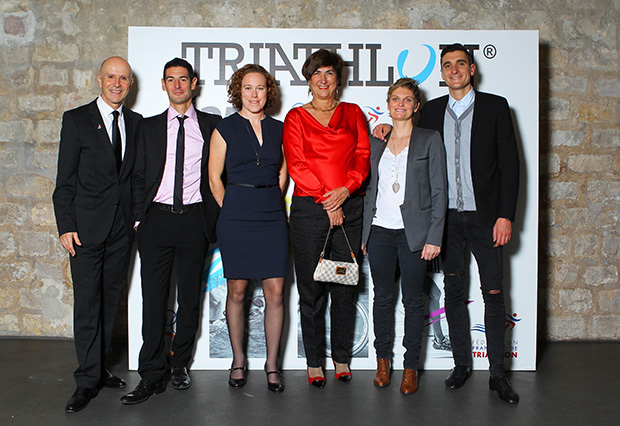 Images and text from Triathlete.fr courtesy of Thierry Deketelaere. A quarter of a century. That is the age of ITU. 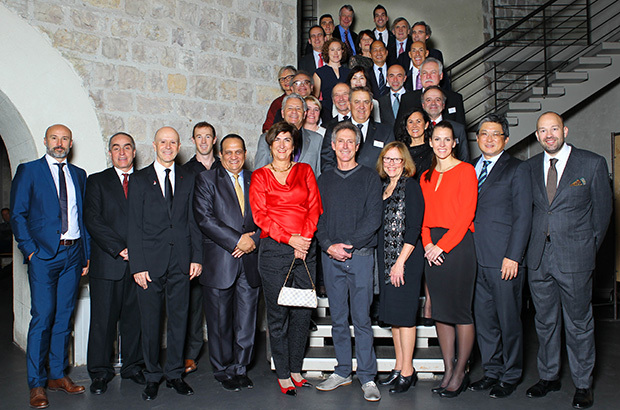 This weekend, ITU chose to celebrate its birthday at the place of his birth in Avignon, France. 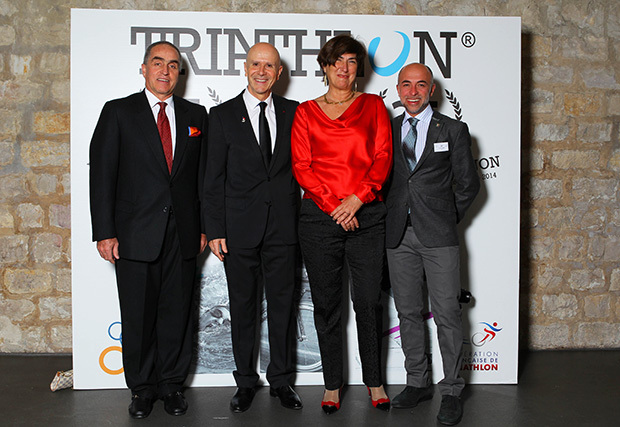 ITU was founded on 1 April 1989, and four months later, hosted the first world championship in the history of triathlon in Avignon. The men’s race was won by Mark Allen, with Erin Baker taking the women’s title. Twenty-five years after that historic moment, the American was keen to make the trip to celebrate this prestigious anniversary. The six-time winner of the Ironman Hawaii had not returned since his coronation in Avignon. 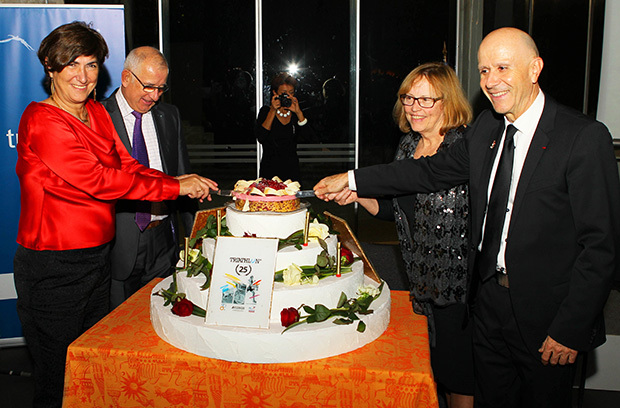 The French Federation, FFTRI, which also celebrated its 25th year anniversary this year, organized the festive weekend. While ITU took advantage of the reunion to hold important board meetings, FFTRI took advantage of the opportunity to present its projects to include triathlon in schools and to enhance female participation to the distinguished guests. The projects attracted the admiration of many federation presidents, who would like to repurpose them in their own respective countries. Just before feasting, members of the French-language federations came together to participate in the constituent assembly of the Association of Francophone countries. France, Luxembourg, Switzerland, Belgium, Canada, Madagascar, Senegal, Central African Republic, Egypt, Tahiti, Cameroon, Burundi, Chad, Congo and the Republic of Guinea were all present. 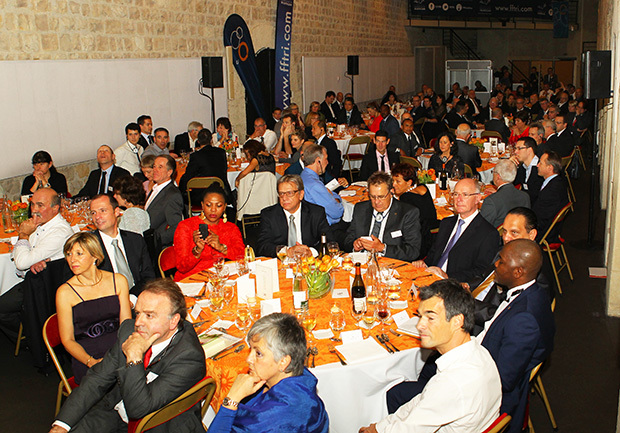 The gala dinner, which closed the evening, was an opportunity to revisit the greatest moments in the history of the ITU and in particular the first World Championships in Avignon. Over a hundred people participated in this banquet. ITU President Marisol Casado was of course present at this birthday, as was ITU’s Board memebers. Pictured here is Casado with General Ahmed Nasser (President of the African Federation), Philippe Lescure (President FFTRI.) and Renato Bertrandi (President of ETU). 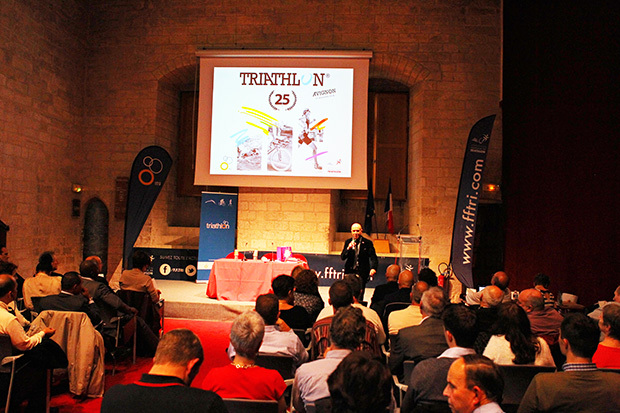 Casado, Lescure and many others shared their history and pride of working with ITU the last 25 years, a highlight of which was the speech of Michel Maridet, organizer of the first World Championships in Avignon. He emotionally revisited his experience organizing the race and reuniting with athletes like Mark Allen. Select French Olympians then took the stage with Emmie Charayron, Carole Peon, Jessica Harrison, Delphine Pelletier, Tony Moulai and Laurent Vidal recounting their main memories of the Olympics in which they participated. But the star of the evening, Mark Allen, was saved for the finale, as he relived his victory there 25 years. The emotion was palpable in his speech. Moved, the room gave him a standing ovation. The evening ended on the dance floor. 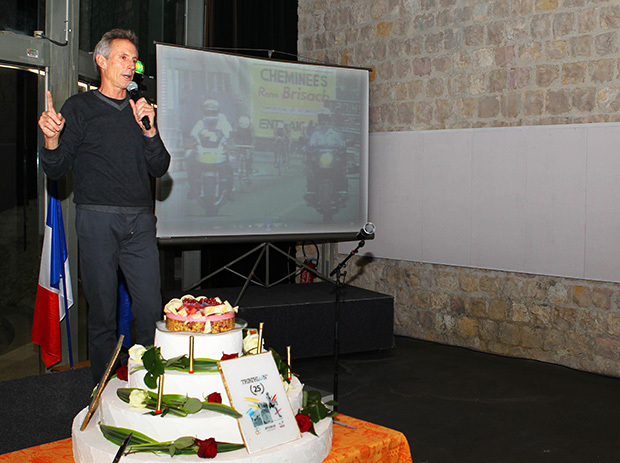 The atmosphere was good-natured throughout the anniversary of 25 successful years.